Escape the urban bustle at Hatanpaa Arboretum and Ahtari Zoo. Step out of Tampere with an excursion to Yyteri Beach in Pori--about 1h 55 min away. see Sarkanniemi Theme Park. And it doesn't end there: take in panoramic vistas at Pyynikki Park and Observation Tower, take in the spiritual surroundings of Tampere Cathedral, and take in the architecture and atmosphere at Finlayson Church. To see ratings, photos, where to stay, and other tourist information, refer to the Tampere attractions planner . Riga, Latvia to Tampere is an approximately 4.5-hour flight. You can also do a combination of flight and train; or do a combination of car and ferry. In May, Tampere is a bit cooler than Riga - with highs of 17°C and lows of 4°C. Finish your sightseeing early on the 5th (Sun) so you can drive to Kouvola. Kouvola is a town and municipality in southeastern Finland. 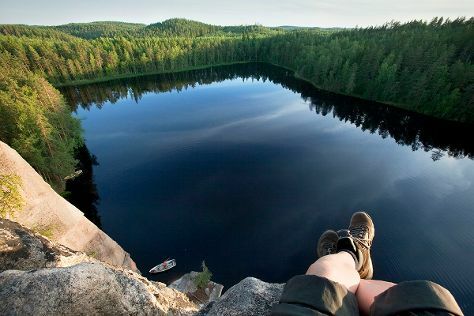 Start off your visit on the 6th (Mon): explore the striking landscape of Repovesi National Park. 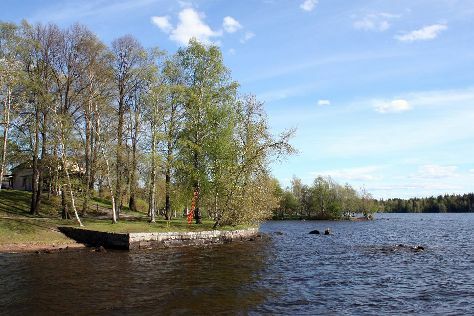 Get ready for a full day of sightseeing on the 7th (Tue): identify plant and animal life at Arboretum Mustila, then look for all kinds of wild species at Riverside Park, and then take a stroll through Hamina Old Town. To see ratings, more things to do, photos, and more tourist information, use the Kouvola trip builder site . You can drive from Tampere to Kouvola in 3 hours. Alternatively, you can do a combination of bus and train; or take a train. Expect a daytime high around 18°C in May, and nighttime lows around 6°C. Wrap up your sightseeing by early afternoon on the 8th (Wed) to allow time for travel back home.